Women should write their own stories. The future is female. The past was, too. It’s just that no one thought it was important enough to bother writing it all down. Women have been a vital part of America’s history all along. But it’s hard to find that presence recorded anywhere. The women who appear in our history books are but a handful. Nor will you find us in the history of our nation’s most important writings, our founding documents. The Declaration of Independence, the Bill of Rights, the Constitution, were all written by men (white men, of course). Some women may have had their fingerprints, if not signatures, on these documents, as noted in Cokie Roberts’s book Founding Mothers. But imagine how those documents—and the country founded upon them—would have been different if women had had an equal say in what was in them. Now multiply that out and consider all the state constitutions, laws, history books, novels, movies, and plays that have been written by men in our country. You can understand how a woman might get the idea her story doesn’t matter in America. Hillary Clinton didn’t think her life story was interesting. This is common for women candidates. I got my first hint of the complexities involved in telling her story when we set out to find a suitable place for Hillary to make her formal presidential campaign announcement. She told us that she thought she needed to go somewhere that had more of a connection to our country’s history. I made a face at that comment because it puzzled me. I told her that she didn’t need to do that. That sort of thing was for candidates who weren’t already well-known. I didn’t think Hillary needed to do that. Wherever she announced would hopefully become historic because the first woman president had announced there. She still thought she should cloak herself in the history of other presidents so Americans would have a way to connect to her. This still did not make sense to me. Why do we need to connect her to history? Let’s tell her story. That’s when I learned that Hillary didn’t think she had an interesting story to tell. She said that her husband had a “story” and President Obama had a “story,” but she did not. She did not see anything remarkable in her story, no struggle to which Americans could relate. She grew up middle-class and had a mother who had struggled and whose difficulties had inspired Hillary to take up children’s causes, but Hillary herself didn’t struggle. She was the first person in her family to go to college and then law school. Then she met Bill Clinton and the rest is his story, or history—same thing. We all liked her husband’s story when we first heard it in 1992. He was from a place called Hope and born into a life of struggle. He lost his father before he was even born. He was young and smart, worked hard, pulled himself up by his bootstraps, and rose from small-town America to become president of the United States. That’s a story we recognize as part of the American story. We like that. We want the lives of our presidents to reflect the classic elements of the American dream. President Obama’s story was more of a reach for many of us, but we still found something of ourselves that we valued in it. The life story of an African American man named Barack Hussein Obama wasn’t one we immediately recognized as part of our own. But he told—and represented— a story about America we wanted to hear. He told us that we weren’t red states or blue states, we were the United States. He was going to bring us hope and change, and his election as our first black president represented the fulfillment of a promise of equality in America. President Barack Obama was an “only in America story” and it made us proud. But the first woman president? It wasn’t part of the American story. All our leaders had been men. Our history—the canon of American stories we treasured and told us who we were—were all based on men. Hillary didn’t fit the narrative. There wasn’t anything in our history to compare to Hillary. I guess that’s what happens to the people who are making history. We don’t appreciate their value in real time. But whatever a woman’s story might be, it’s hard for her to tell it when her voice isn’t heard. It is also hard for her story to be told when people are too busy disliking the sound of her voice to listen to what she is saying. I ran into these problems with Hillary, too. Throughout the campaign I was bombarded with advice from well-meaning folks who had recommendations for how Hillary could improve her speaking style. It was all contradictory. At first I thought it was me, and that I wasn’t understanding the recommendations, but after a while I realized that they just didn’t make sense. In one memo a person would argue that she needed to project strength but couldn’t be shrill, couldn’t ever shout but needed to show passion, couldn’t ever look weak but should show more vulnerability. The main advice in each memo was for her to be “authentic.” I complained to Hillary one day about how frustrating all of it was. She came up with the best response to this kind of advice. “Tell them,” she said, “that you really appreciate the advice but what would really help Hillary is if they could tell you the name of a woman on the world stage who does it exactly right.” No one could ever produce a name, of course. When it comes to pleasing the masses in a patriarchal society, women seeking power can’t win playing by the old man-centric rules. This is why we should stop expecting to find ourselves reflected in our country’s history and models of power, and write our own story. 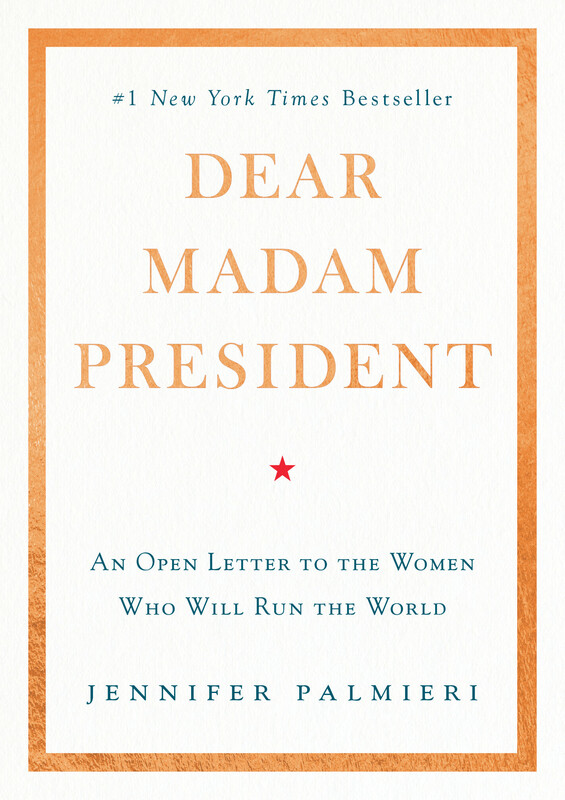 Edited excerpt from DEAR MADAM PRESIDENT: An Open Letter to the Women Who Will Run the World. Copyright © 2018 by Jennifer Palmieri. Reprinted with permission of Grand Central Publishing. All rights reserved. Jennifer Palmieri is one of the most accomplished political and communications strategists in America today. Jennifer served as head of communications for Hillary Clinton's 2016 presidential campaign and White House communications director under President Barack Obama. She was also White House deputy press secretary for President Bill Clinton and national press secretary for the Democratic Party. She is currently President of the Center for American Progress Action Fund, has been a frequent contributor to the Washington Post and other national print outlets, and is a frequent guest commentator on MSNBC news shows.